Sometimes, when one thing sits next to another thing, it doesn’t seem to correspond, or even get along. And yet. Together, they make a match we wouldn’t have thought possible. Today’s message arrived in two parts. Both are calm, neither are complicated. They are smooth, and yet, super powerful. We are being asked to find our personal sanctuary, and then work from there. We are being reminded of how “turning the other cheek” is strong, not passive. The reminder is that, we heal best in tranquil settings. Are we seeking out those places now? Or are we simply “making due” with what we think is good enough? Because, from what I was shown, it absolutely is not. Not even close. During tumultuous circumstances it is our duty, our honour, to stand tall, to radiate serenity, to share lovingkindness. To be the example. To act with Divine wisdom, to oppose fear and rage. To let go. Truly, we know that it helps us. We just keep forgetting. As a timely and validating reminder, we’ve returned to our regular rotation around the card altar for this daily draw. The stage is set, and the world is waiting for you to take your place in sacred meditation and prayer. 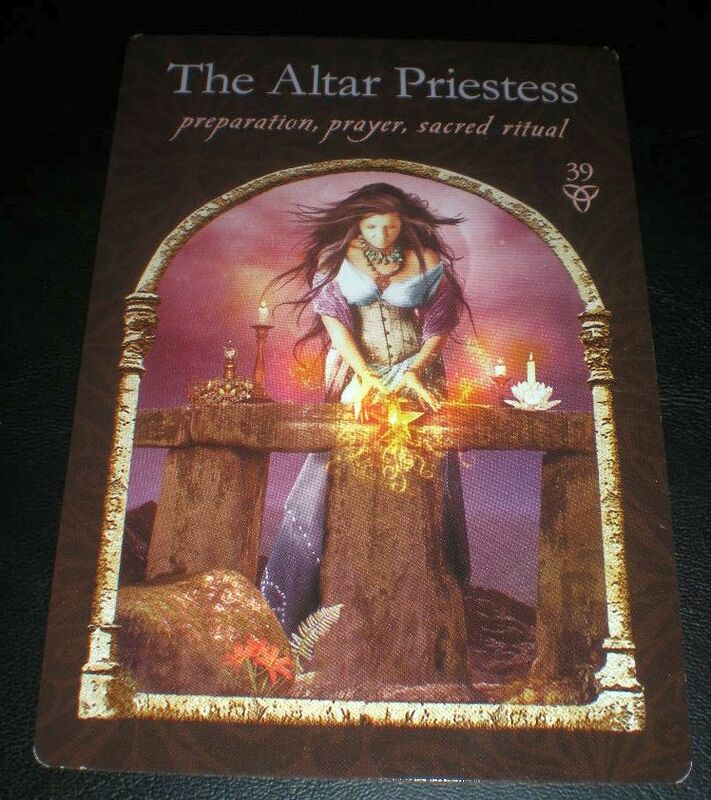 As your Ally, the Altar Priestess brings the ritual of reverent interaction with the mundane world. You are being required now to see everything as sacred, all of life as a meditation, and every action as a prayer of devotion. When you’re able to perceive the world this way, your question will lead you to the appropriate answer. begins with a really pretty Alabama plate we’d never seen before, and continues with a new New Mexico, plus one Washington DC (super rare), a single one each, Tennessee and Wisconsin; ending with an Arizona sighting that had a frame which confused us for miles.